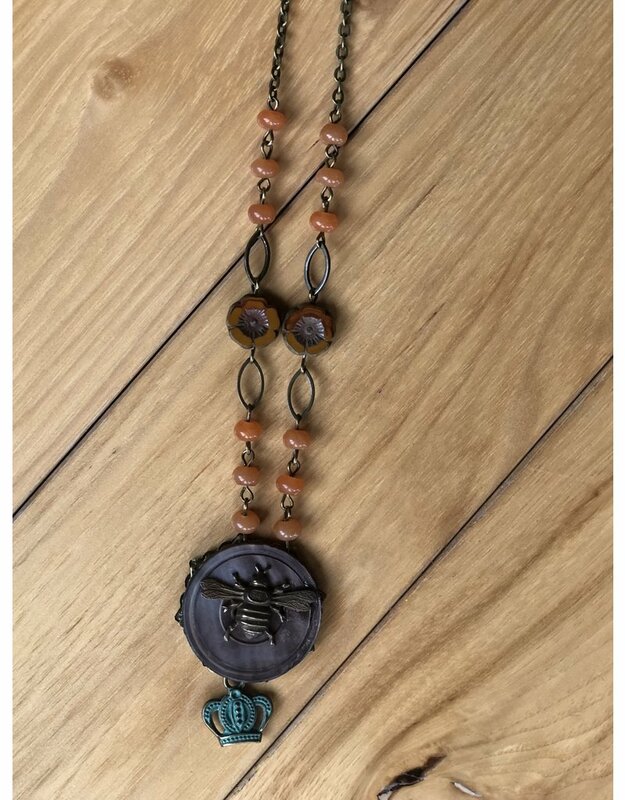 Are you a Bee lover? 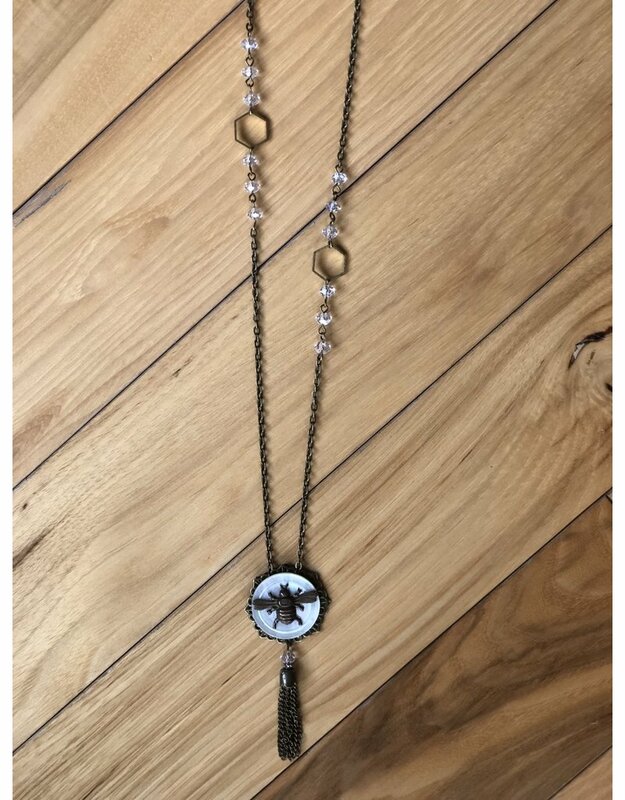 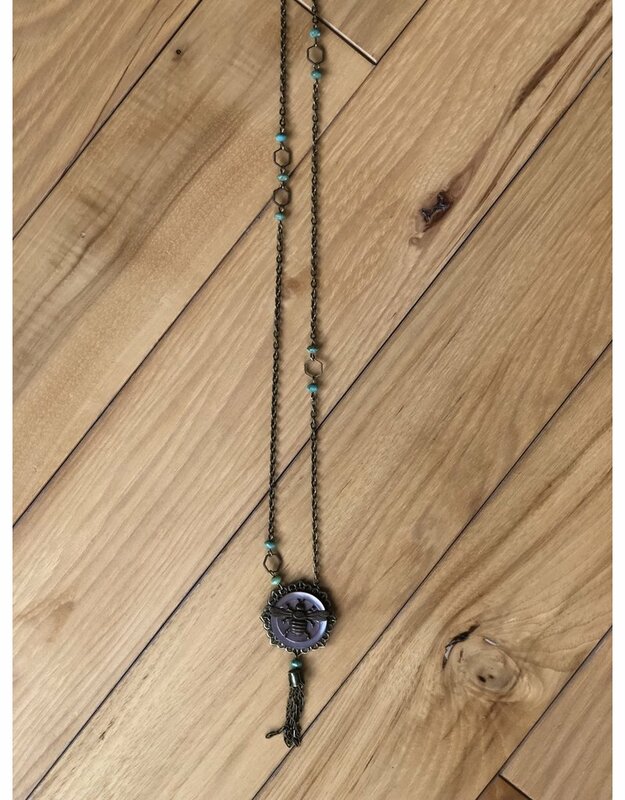 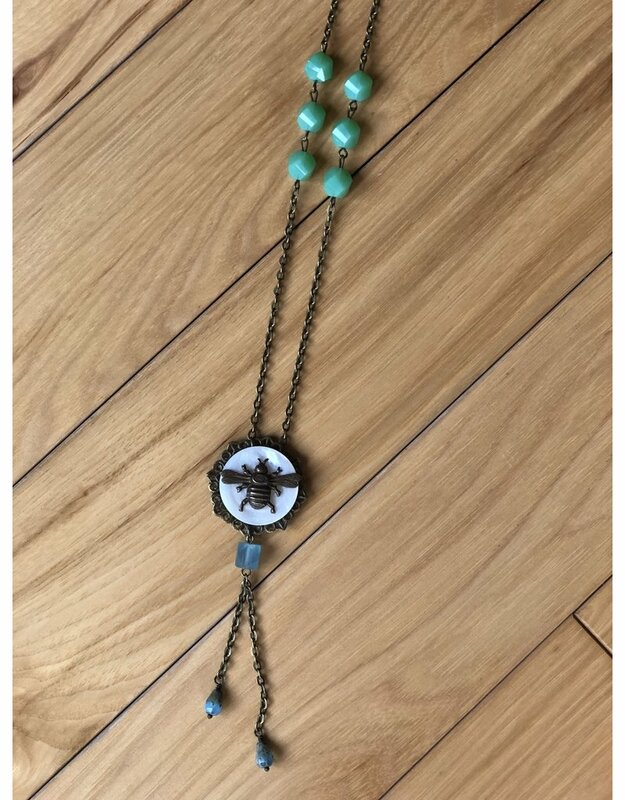 We have the necklace for you! 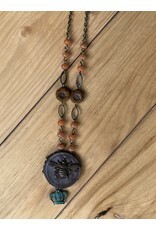 Bee's are gorgeously hand patina'd in the USA and attached to a Mother of Pearl button. 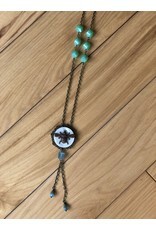 The beads on each necklace are glass Czech beads. 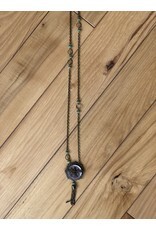 All Metals are lead free & nickel free. 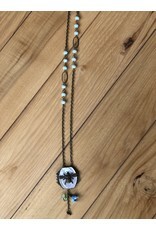 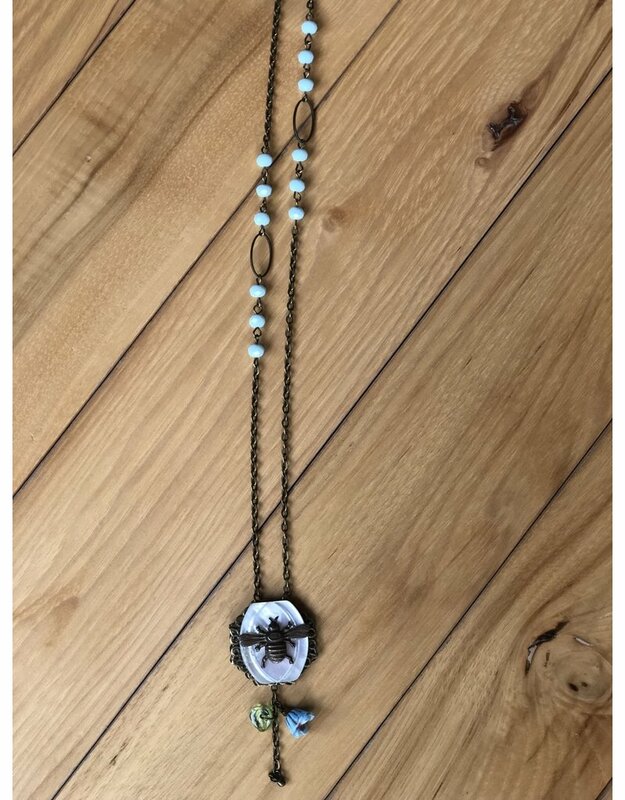 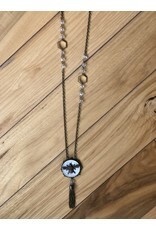 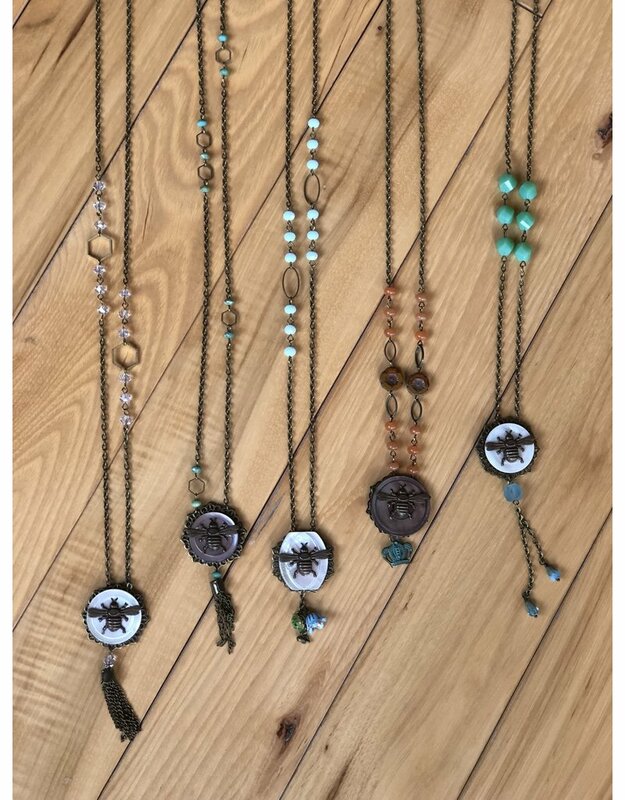 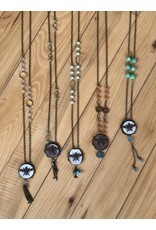 Each necklace is one of a kind and made local here is MI.